Since founding the firm in 1985 in Fort Lauderdale, Berger has taken that approach to client service with excellent results. Today the business law firm has four offices in Miami, Fort Lauderdale, Boca Raton and Tallahassee with more than 75 attorneys in four teams: business reorganization; business, finance and tax; dispute resolution; and government and regulatory. Through the years, the firm’s attorneys have handled a wide range of major cases. 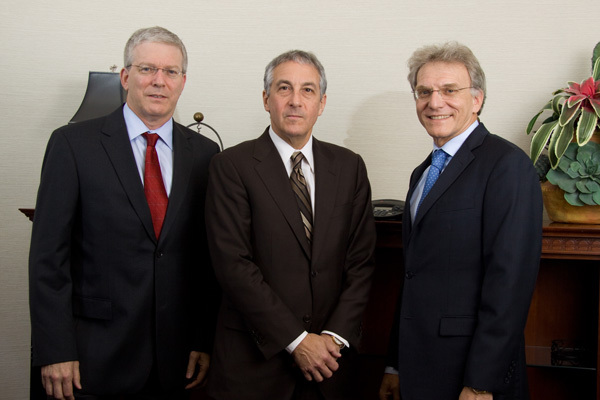 Mitchell Berger has assisted numerous Fortune 500 companies in commercial disputes, and represented Vice President Al Gore and Joseph Lieberman in the post-2000 election Florida lawsuits in Bush v. Gore. “We have had opportunities to go into other fields, such as family law, but we have retained our focus on the business side,” he says. A fellow of the American College of Bankruptcy, Singerman concentrates his practice in troubled loan workouts, insolvency matters and commercial transactions. He is counsel to Judge Herbert Stettin as Chapter 11 Trustee for the law firm of Rothstein, Rosenfeldt & Adler, P.A. in the largest Ponzi scheme in Florida history involving approximately $1.2 billion. While other Florida law firms have become national and international in scope, Berger Singerman has continued to focus on Florida matters. “The legal community knows we are a Florida firm that can handle major litigation, transactions and bankruptcy matters,” says Mitchell Berger. Berger adds that the firm’s litigation and dispute resolution practices have doubled in size over the past five years. Other growth areas are corporate transactions, securities and regulatory matters. In addition, the firm continues to add bilingual lawyers to service its international clients. Mitchell Berger believes that attorneys need to be closely connected to the communities they serve, and take leadership positions in political, civic and charitable activities. A longtime Democratic party insider, Berger has been active in the last ten presidential campaigns. He has also been involved with Nova Southeastern University (NSU) for more than 20 years, and has served on the university’s board of trustees. In 1997, Gov. Lawton Chiles appointed Berger to the governing board of the South Florida Water Management District, and in 1998 President Clinton named him to chair the national Student Loan Marketing Association. His brother James has been involved in many South Florida organizations, and led a capital campaign for Boys and Girls Clubs of Broward County and served as pro bono counsel to Jack and Jill Children’s Center. Another partner who is involved in the community is Jordi Guso, who received the 2012 Pro Bono Award from Dade Legal Aid and Put Something Back for his service to Miami-Dade organizations.